Skoda introduced the RS version of the Octavia on September 1, 2017, at Rs. 24.62 lakh (ex-showroom, India). The pricing was spot on with a gem of an engine. Due to which Skoda India sold out initial 300 units of the car earlier than expected. The company stopped booking for some time. Additional 200 units came for the second batch due to increasing demand. Now the company has also sold out the second batch completely. So, you cannot get an Octavia RS until next year. 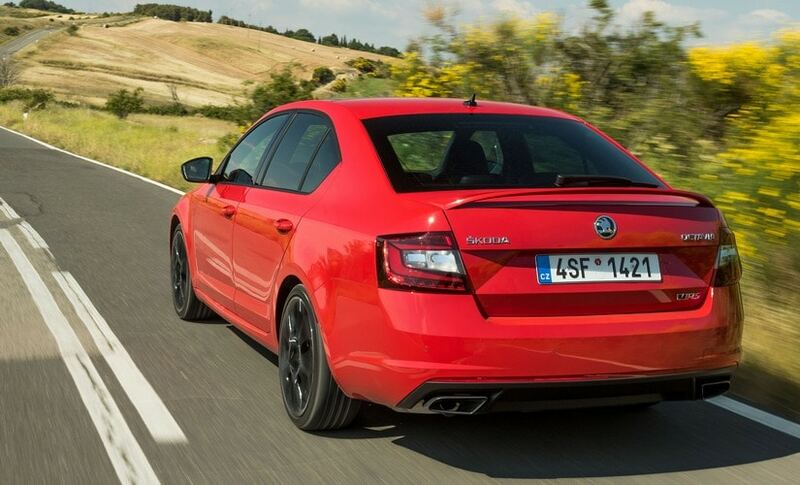 Skoda has given instructions to dealers to not accept any booking for the Octavia RS. The sales figures of 500 units are very impressive for a performance sedan as such products don’t appeal much to the mass market. But those who know the potential of the RS definitely spent their hard-earned cash on it. There were subtle changes on the outside on the RS compared to standard Octavia. Such as LED headlamps, tail lamps, Fog lamps and daytime running lights (DRLs). It also featured a sporty body kit. It rides on a sporty suspension setup with a set of 17-inch alloy wheels. The car is lowered by 15mm and has blacked out treatment at various places. At the rear, it gets a dual chrome-tipped steel exhaust pipes and a boot spoiler. The interior also carries the sporty theme of the car. Alcantara sports seats stitched in red, a three-spoke flat-bottom steering wheel with paddle shifters and a touchscreen infotainment system. For safety, Skoda gives nine airbags, ABS, EBD, ESP, traction control system, and park assist system. Powering the Octavia RS is a 2.0-litre, four-cylinder, turbocharged motor that produces 230hp at 6,200rpm and 350Nm of torque between 1,500rpm and 4,600rpm. A 6-speed dual-clutch automatic transmission sends the power via the front wheels. RS can do a sprint to a ton in just 6.8seconds! and has an electronically limited top speed of 250kmph. It also gets a limited-slip differential. Available in four color options – White, Blue, Red & Steel Grey. Furthermore, Skoda Octavia RS has no direct competitor in this price bracket. We expect Skoda to bring back the RS next year.